Gaddour’s answer: Start with the fitness basics. When most people start training, they set deadlines for themselves: Drop 5 pounds in 5 weeks. Sculpt a six-pack by summer. But that’s the wrong mindset to have, says Gaddour. The best way to establish a healthy, sustainable workout routine is to “just commit to 10 minutes of movement every day,” he says. Whether you squeeze in those 10 minutes of time during your workday, in between Netflix episodes, or right before bed, you need to find a fitness habit that fits with your lifestyle—and stick to it, Gaddour says. 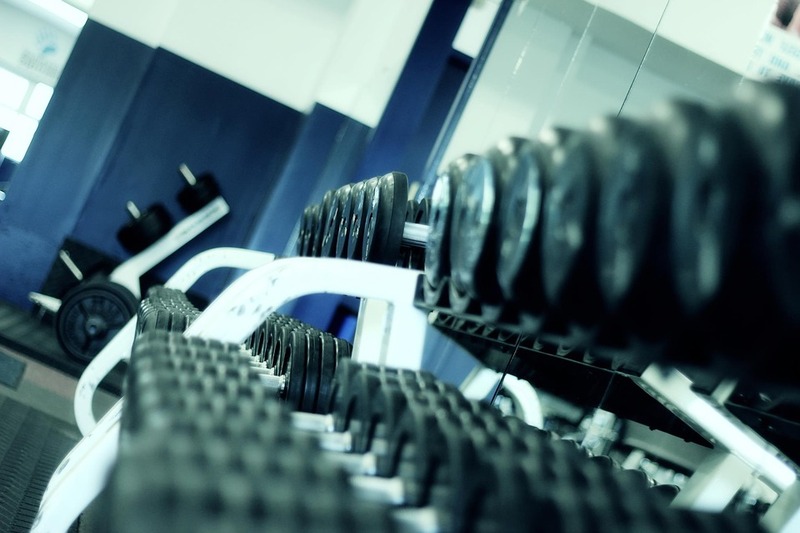 Once you nail down your workout routine, that’s when the gains can really begin. So start by setting aside that time, and then follow this two-week training plan that gives you 10-minute workouts to do each day. And once you’ve made fitness a regular part of your schedule, you can move on to the long-term fitness regimen for week number three and beyond. The first week of Gaddour’s beginner workout blueprint focuses on expanding your range of motion. Try each of these exercises for 2 to 5 minutes three times throughout the day, totaling 10 minutes. Day 7: Perform the six exercises from this week for 2 to 5 minutes each. The second half of Gaddour’s training plan consists of exercises designed to build strength in key areas. Perform 10 reps of this exercise at the top of every minute for 10 minutes. Perform this exercise for 10 minutes straight, switching arms every 30 seconds. Perform this exercise for 10 minutes straight. Hang for as much of 1 minute as you can, then rest for the remainder of the minute. That’s 1 round. Do 10 total rounds. Day 14: Perform each of the six exercises above in the order shown for 1 minute, resting 30 seconds between moves. That’s 1 round. Do up to 3 total rounds. Now that you’ve made fitness a habit and prepared your body for training, it’s time to start doing longer, harder workouts. “In order to progress, it’s important to understand that the overall idea is to try to gradually do more work,” says Tony Gentilcore, C.S.C.S., an elite trainer based in Boston. In addition to working harder—a concept trainers call “progressive overload”—you also need to stay consistent with your workouts, Gentilcore says. Whether your goal is to lose weight, build muscle, or both, those two rules are key. There are countless ways to plan your workouts from here, but Gentilcore put together a basic blueprint that will work well for most people. His plan involves doing three full-body workouts per week. “If you get to the gym three times per week, 52 weeks out of the year, great things will happen,” he says. Each of your three weekly workouts involves roughly the same exercises, but with different numbers of sets and reps. That’s because doing fewer reps with heavier weights is best for building muscle strength and size, while doing higher reps with lighter weights is best for increasing your muscular endurance. Mixing up your rep scheme ensures you get well-rounded results. Do each of the three workouts below every week. Each workout contains a list of exercise “categories,” such as “core exercise.” You can choose any exercise from that category to perform during your workout, based on the equipment available to you and on your current fitness level. See the bottom of the article for the list of exercise options in each category. 1. Do the following three exercises for the prescribed number of reps in the order shown. Rest 1 minute between exercises. Then move on to step 2. 2. Perform the following two exercises back-to-back in the order shown, with no rest between exercises. When you’ve completed both exercises, rest 1 minute. Then move on to step 3. 3. Perform the following three exercises back-to-back in the order shown, with no rest between exercises. When you’ve completed all three exercises, rest 1 minute.